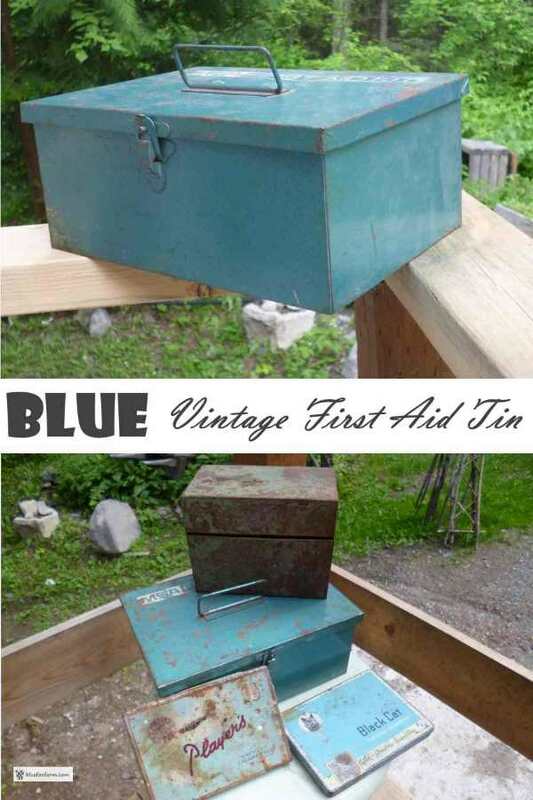 Blue Vintage First Aid Tin - what is it about blue? 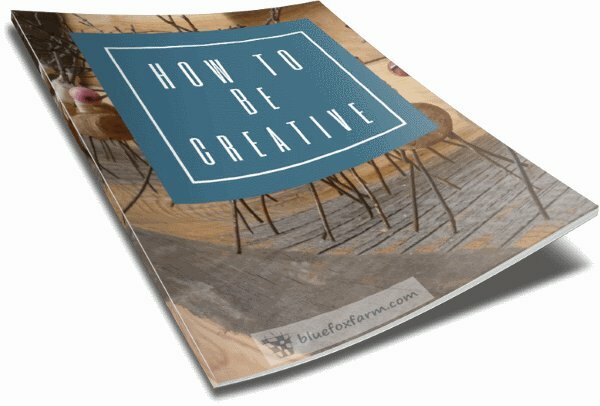 I've got a fondness for anything blue, and if it's old and rustic, so much the better. Hubby found this and thought of me, which makes it doubly sweet. 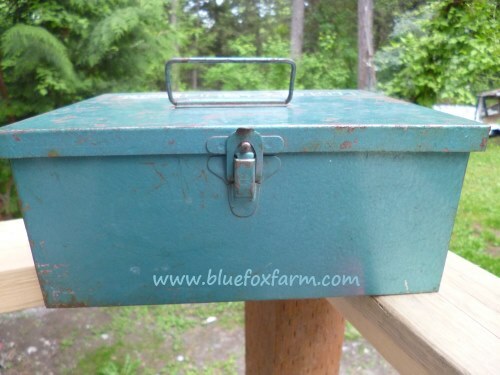 You could use this for a sewing box, or to plant succulents in (if you didn't mind punching some drainage holes) or just to display with other eclectic blue things in your collection. I use it now for my essential oils, to keep them secure and safe from jostling, and also in the dark which is recommended to make them last as long as possible. However you decide to put it to use, or just to enjoy, there is nothing guaranteed to lift your mood than something like this, with obvious age and weathering, and yet still functional. 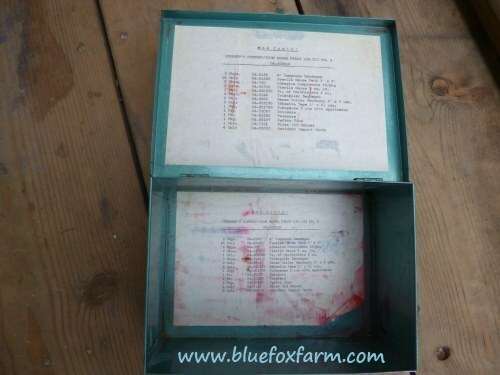 The inside of this tin still has the list of items that it used to hold, from bandages to tweezers; everything a person would ever need for a minor medical emergency. The lid has a handle, and there's a great little catch to keep it closed. The original logo on the top is weathered and worn but still legible; this company, MSA Canada, put together the first aid kits for Workmans Compensation Board, now changed to the more politically correct Workers Compensation. That dates this vintage tin to around 1983 when that term was phased out. So, if you found this tin at a garage sale, or in the recycle center, what would you use it for?